How to handle unwanted mail. Not available in the free edition. In the top of the first screenshot you can choose which account these settings will apply for, as some accounts require their own filter settings. In the second screenshot above you see the junk controls are turned off by default, so the first thing you want to do is check the box which says "Enable junk mail controls." Now, Thunderbird uses something called "Bayesian filtering", in other words you need to teach the mail client what is spam, and what isn't. 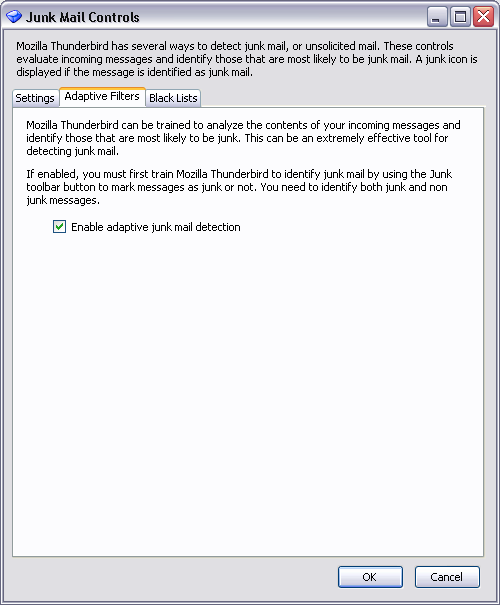 You can either highlight a mail message and press the junk button, or you can right click on a mail and mark as "Junk" or "Not junk". 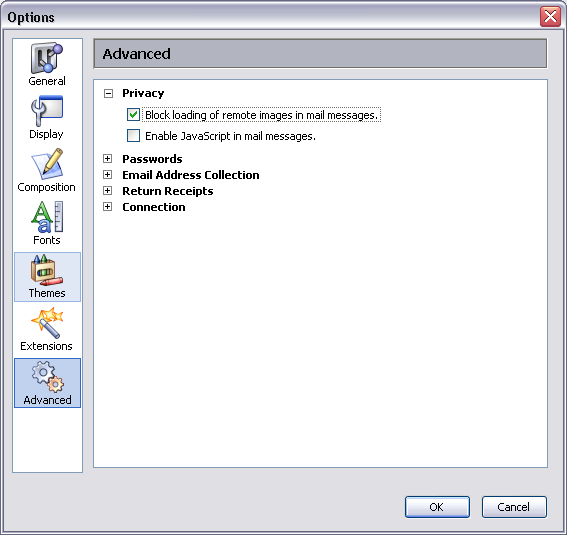 By checking and unchecking mail you're teaching Thunderbird which emails are spam. After a few weeks the client should be able to remove 99%+ of the spam that dumps into your inbox.